Home News Announcements Timberline Resort to Open November 30th? Or Will They? Timberline Resort to Open November 30th? Or Will They? We’re pulling for Timberline to get open this season, but the news (and rumors) surrounding the resort certainly make it questionable as to whether that will happen. 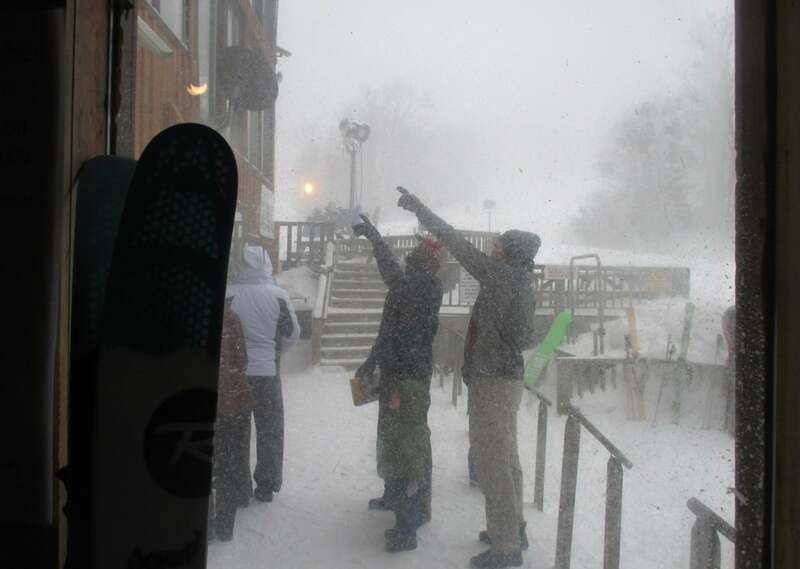 We’ve attempted to reach out to Timberline’s management and owners to no avail thus far. Several fans of the resort have taken to social media to share their opinions and several readers and people “close to the resort” have emailed us with their insight. Unfortunately, we can’t really share those because we don’t know what is fact, fiction or somewhere nin between. A few of our readers have taken to pointing a negative finger at SkiSoutheast for not sharing what we could, related to this story…and it IS a story. We’re just not certain WHAT the story is. This story reminds me so much of the turmoil that took place between the local, Seven Devils, NC town and government and Hawksnest Ski area several years back and we all know how that turned out. Well – Barbara, the truth is, we don’t know anything more than what we’ve read. We do have some insiders, close to the area…however, they’ve all been pretty respectful of the owners and they themselves are not all that certain what is rumor and what is fact. However, there IS a lot of finger pointing and negative accusations floating around. To that end, we will share a report from Davis, WV area’s The Parsons Advocate. Read on. In addition to the Public Service Commission of West Virginia’s general investigation of Timberline Four Season Utilities, a West Virginia State Police and Tucker County Sheriff’s investigation are also underway. After a number of formal complaints were submitted to the Public Service Commission of West Virginia throughout the year, the commission has ordered a general investigation of Timberline Four Seasons Utilities. The investigation concerns customers being required to boil water before using it, not having a licensed operator working for the utility, inconsistent billing of customers, the utility’s phone being disconnected, payroll checks to staff being declined for insufficient funds, failure to collect the ordered repayment for improper affiliate transfers of cash, failure to satisfy multiple years of federal and state tax liabilities and the utility not paying its bills, including to Canaan Valley Public Service District (CVPSD) for sewage treatment. The Chief Administrative Law Judge of the Public Service Commission scheduled a hearing for December 13, 2108, in Davis, West Virginia in order to make a determination as to whether to move forward with receivership. The hearing will take place at 9:30 a.m. in the Pine Room of the Canaan Valley State Park lodge. In 2016, Fred and Tracy permanently moved to the area in order to assume management roles for the four affiliated companies, which includes Timberline Four Seasons Utilities, Timberline Four Seasons Realty, Herz Herz and Reichle, and Timberline Four Seasons Resort Management. Timberline plans to open for the ski season on November 30. “We are getting our snow guns put up on the mountain as we speak,” Fred said. Both Fred and Tracy stated they have no intention to sell any of the four affiliated companies. Previous articleAppalachian Ski Mountain Opens Today at 9am! Next articleWant to Join Our SkiSoutheast Team?